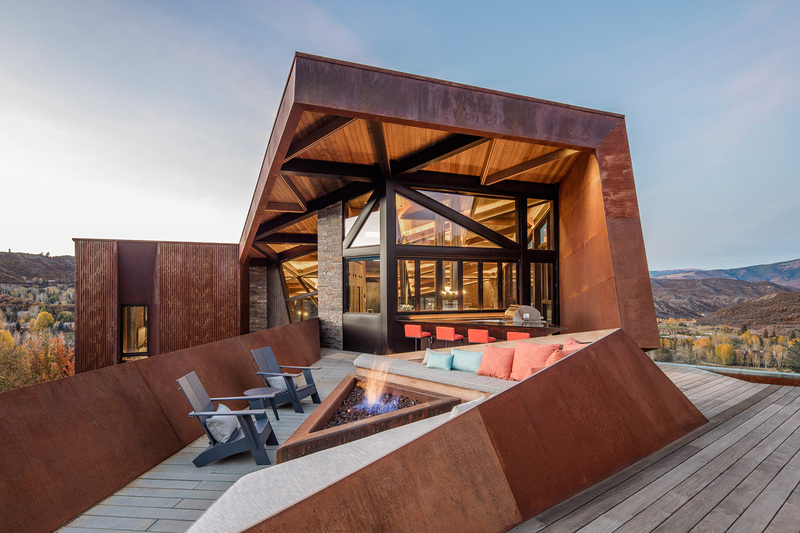 Portland studio Skylab Architecture‘s Owl Creek Residence is an angular retreat that blends into Colorado’s mountainous landscape while offering expansive views of the Rocky Mountains. 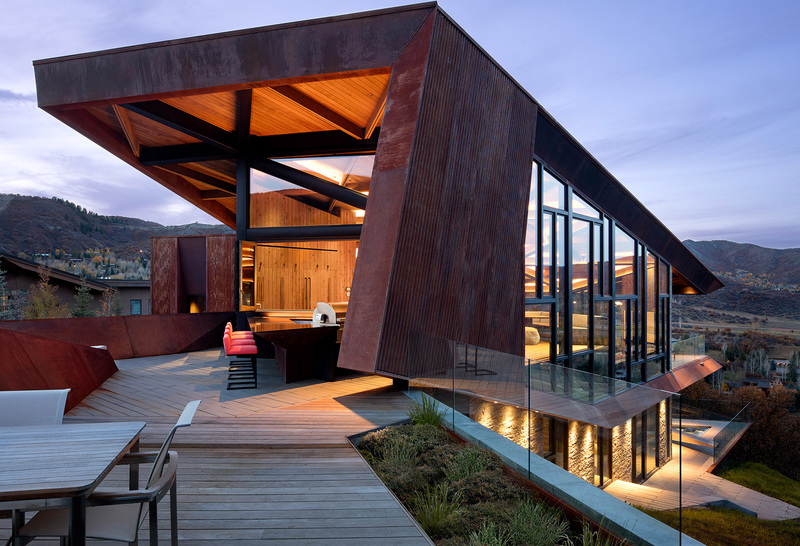 The house’s rugged steel structure mimics the topography of the surrounding area, enhancing visual connections to the landscape and simultaneously drawing it inwards. 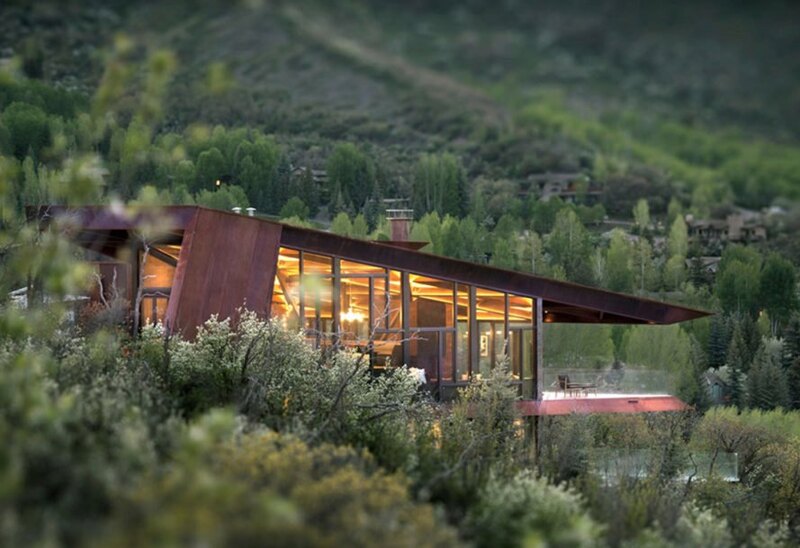 The 4,200-square-foot (390-square-meter) house sits on a hillside near the town of Snowmass, a popular destination for winter sports. Its main lounge area mimics the natural slope of the site and features stepped seating that maximizes space within the stairwell. 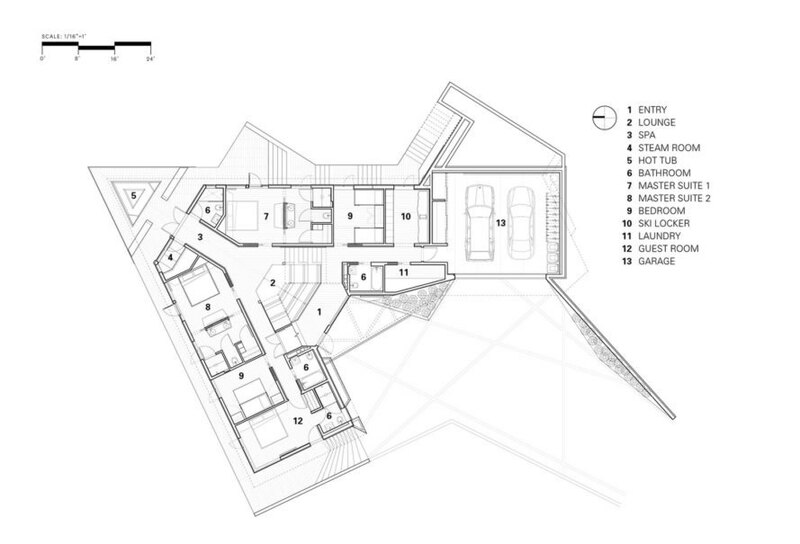 Five bedrooms occupy the lower level of the residence, along with other amenities such as a steam room and hot tub. 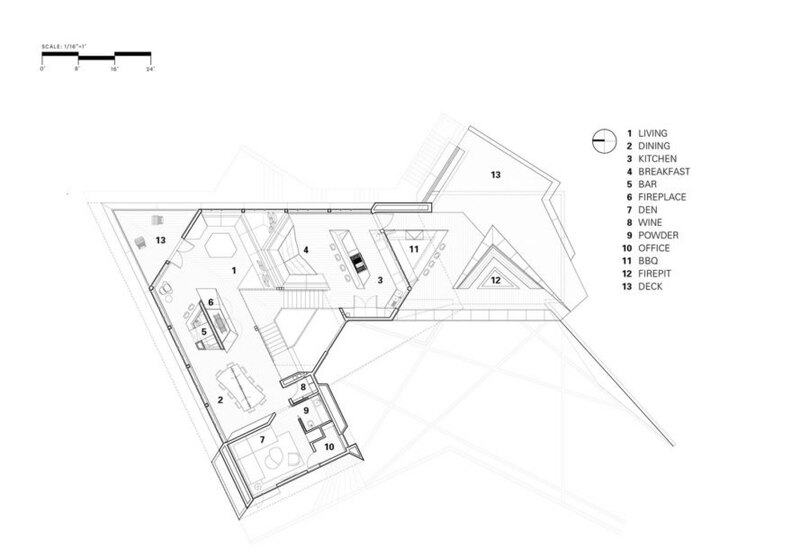 A triangle-shaped spa with an elevated deck sits on a terrace just outside the kitchen. The choice of cladding materials and finishes – weathering steel, wood and stone – further allows the house to harmonize with nature. 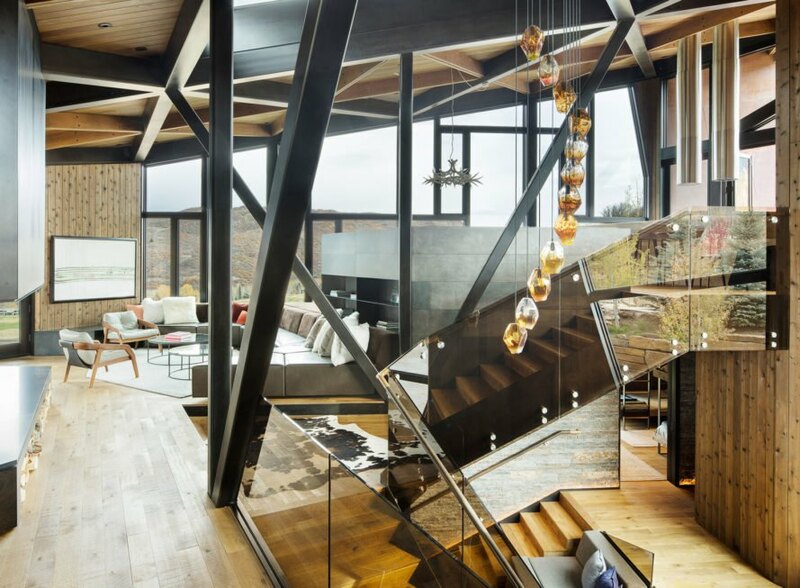 Floor-to-ceiling glass walls in the common areas form the tip of the triangular plan and offer expansive views of the surrounding landscape. Most of the upper level is reserved for entertaining and includes an open-concept living and dining room, a den, and a kitchen. 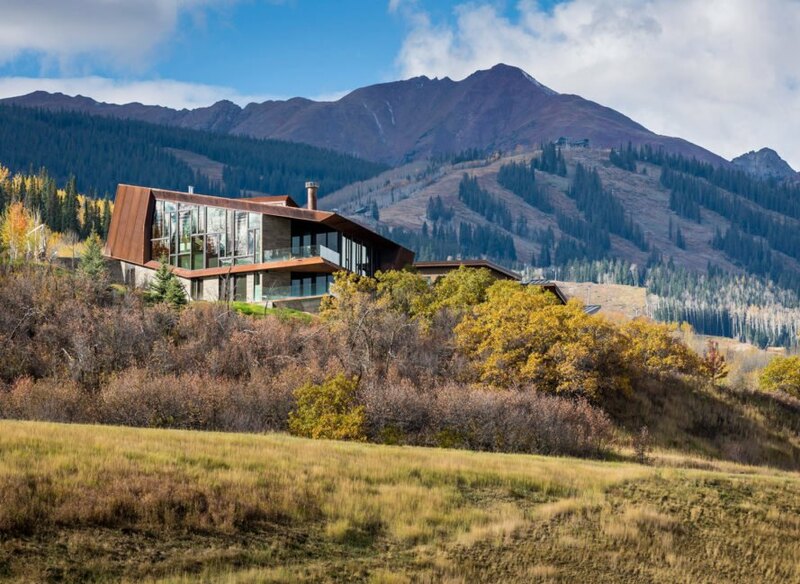 Portland studio Skylab Architecture has designed Owl Creek Residence, an angular retreat that both blends into and offers expansive views of Colorado’s mountainous landscapes. 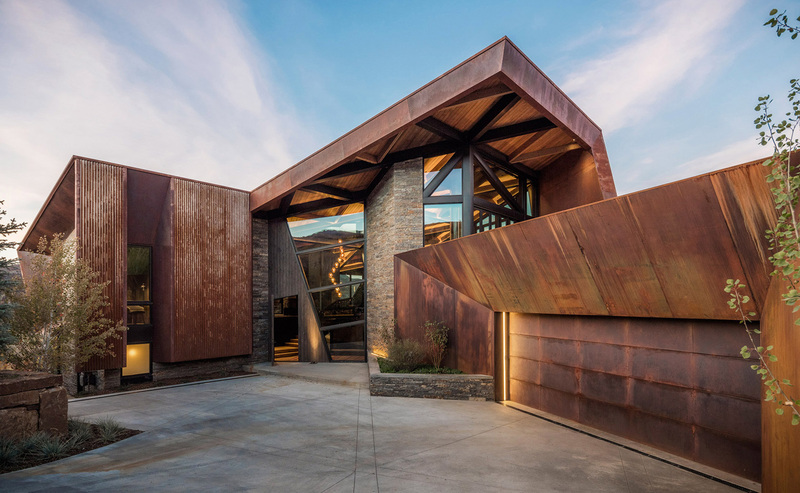 The house's rugged steel structure mimics the topography of the nearby mountains, enhancing visual connections to the landscape and simultaneously drawing it inwards. 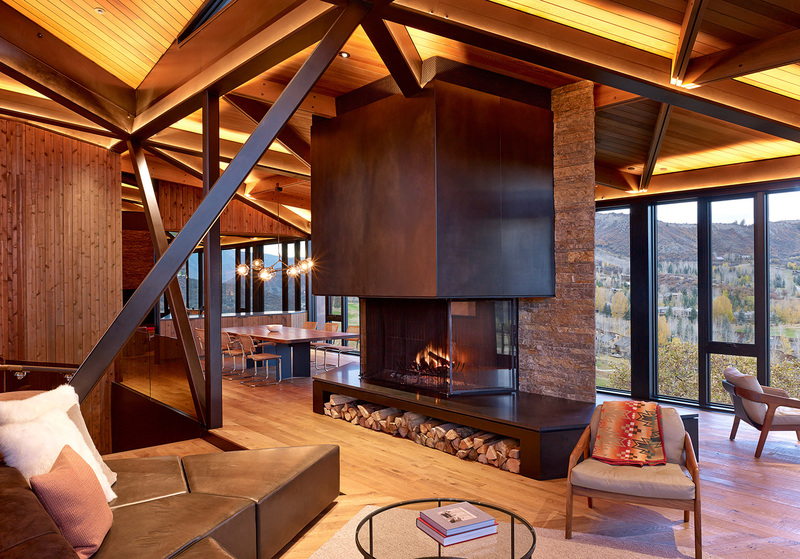 The 4,200-square-foot (390-square-meter) house sits on a hillside near the town of Snowmass, a popular destination for winter sports. Its main lounge area mimics the natural slope of the site and features stepped seating that maximizes space within the stairwell. Five bedrooms occupy the lower level of the residence, along with other amenities such as a steam room and hot tub. 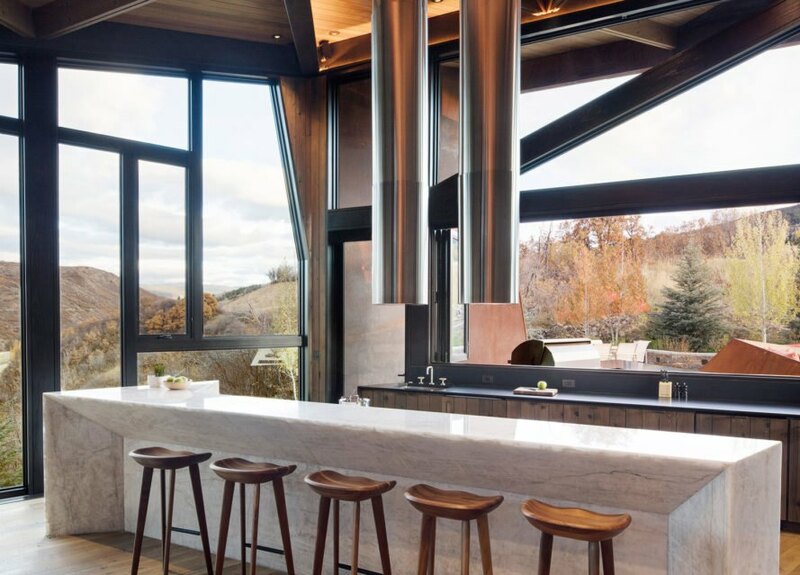 A triangular spa with an elevated deck and an expansive outdoor terrace is located right off the kitchen and creates a strong connection between the interior and the exterior. The choice of cladding materials and finishes – weathering steel, wood and stone – further enhances the house’s harmonization with nature. 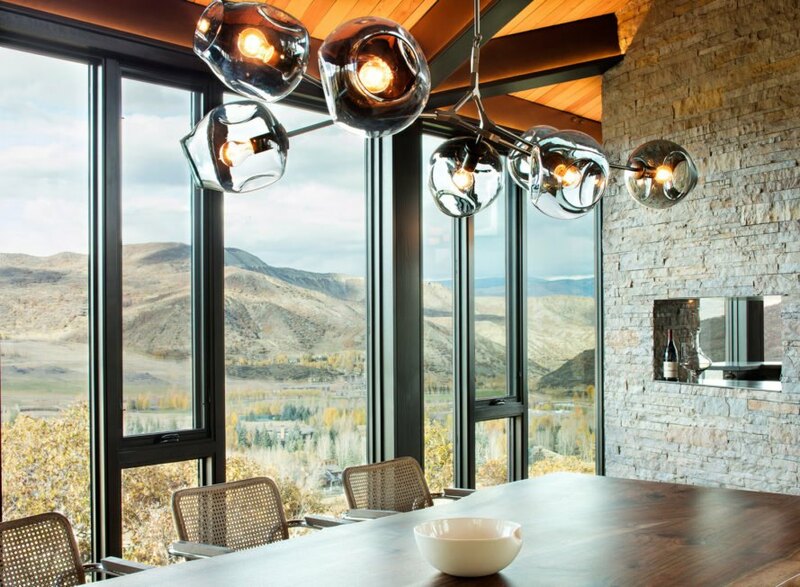 Floor-to-ceiling glass walls in the common areas form the tip of the triangular plan and offer expansive views of the surrounding landscape. Most of the upper level is reserved for entertaining and includes an open-concept living and dining room, a den, and a kitchen.